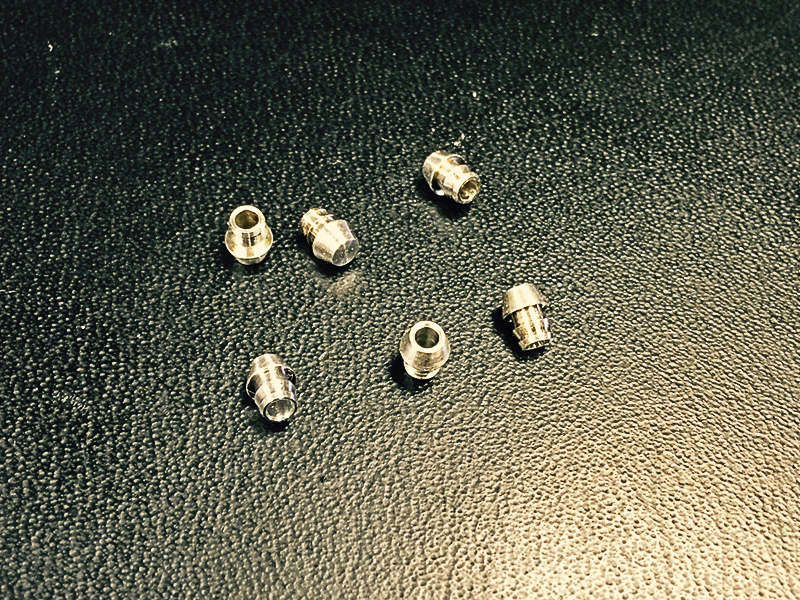 At S & H Glenco Manufacturing, LLC, we are a go-to source for screw machining services. Since 1957, we’ve invested in and expanded our role in screw machining, becoming an industry leader in the process. Today, we help our customers though screw machining that is not only precise, but able to handle volume work as well. In the project highlighted here, we assisted an Automotive-industry customer by machining a Type AR Regulator Cone. This small, 5.06mm long, 4.10mm in diameter, product would have to be machined and processed consistently for thousands of units monthly. Fabrication itself involved screw machining of the product’s design from aluminum stock, followed by a deburring step for additional accuracy and finishing. Our maximum tolerance throughout this process was ± 0.05 mm, with dimensional inspections and testing ensuring consistency on all units. We continue to manufacture this part for this Michigan based customer, with 3,000,000 units annually being delivered on monthly releases. For more information about our services, see the table below and feel free to contact us directly.